HostJinni- A distinguished WebHosting Company, based out at Noida, UP, India. The crux services of HostJinni are value-based quality WebHosting Services, dedicated for Linux WebHosting and Windows WebHosting, ever-since its inception in the year of 2003. From that time, millions of WebHosting customers have extensively been served with trust. Hosting merely websites is not the only job of HostJinni, but facilitating customers with 24/7 customer supports is another trait of it so as not to let the prestigious clients face any sort of technical lapses. Experts at HostJinni, help customers develop their online trades by keeping their Online Sites with over 99.99% server uptime.They have different hosting packages. Shared web hosting, reseller hosting, VPS hosting server, and dedicated hosting servers are available to purchase on competitive price..
HostJinni.com is one of the most popular web hosting company in India. They deal with all kind of web hosting services that includes hosting for personal websites and blogs, small business website hosting, email hosting to large size organization and big portals that receive huge amount of internet traffic. They own and operate their own servers and have full control on the server management. The definition of world class WebHosting schemes and excellent server supports are found at HostJinni. Additional traits to HostJinni's crown are quality based hosting services along with 24/7 backups via email and ticket methods. HostJinni does perform telephonic support also, but in case of emergency only. The skilled teams at HostJinni show their expertise by managing hosting server round-the-clock and ensure customers about their being ONLINE for LIVE support too. Server security, server maintenance, upgradations of new aspects and maximum speed are being executed by the team. 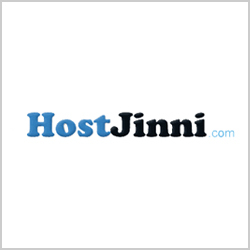 Hostjinni services are reliable and provide a first class service. I really appreciate their company for the useful services every time they provide. Their support team is the best and very helpful in giving appropriate suggestions. HostJinni provides the good features when compared to other providers in the market. 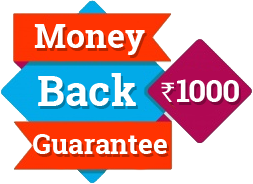 They have very good hosting hosting packages. In each and every step they support team is ready to help. Hostjinni services are very good.